Wolves pick up fourth league win. 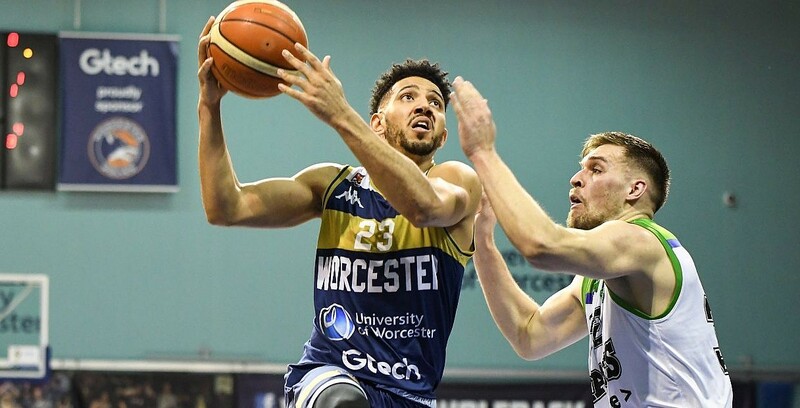 Worcester Wolves picked up their fourth win of the league campaign with victory over Manchester Giants, on BBC Sport. The Giants fall to 11-13 ahead of Sunday’s game against Plymouth as Worcester avenge last month’s double overtime defeat. Turning point – The Wolves trailed 7-15 early on before a 12-2 close to the first quarter was followed by a dominant second as they racked up 34 points to establish a commanding 21-point advantage at the half. Manchester briefly got back to within single figures in the fourth before the hosts made sure of the win. Key stat – Worcester hit 14 threes in the contest and were gifted numerous extra possessions as the visitors finished with 22 turnovers. Game hero(es) – Navajas top scored with 26 points including six threes, while Freeman posted 23 points and 19 rebounds and Miki Servera handed out 12 assists to go with 11 points. Crawford also had an all-round display with 17 points, five rebounds and six assists in the win. 22-26 Mar: What’s coming up in the BBL this week?